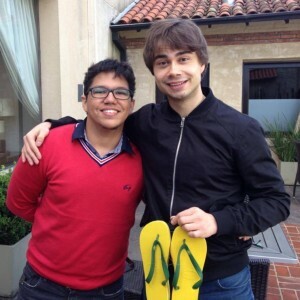 “Seven years after winning the Eurovision Song Contest in Russia, the representative of Norway in 2009, Alexander Rybak, finally came to South America. It was in Argentina that our meeting took place in a hotel in the suburb of Buenos Aires on the day following his show. 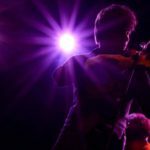 First we were attended to by his agent in Argentina, Daniel Benko, the Circulo Virtuoso association, who spoke about the work that Rybak made in Argentina that included not only the show in Buenos Aires, but also a workshop for young violinists and a smaller concert in inside the country. ESC BRAZIL: First, thank you for availability in granting us this interview. You look a little tired. 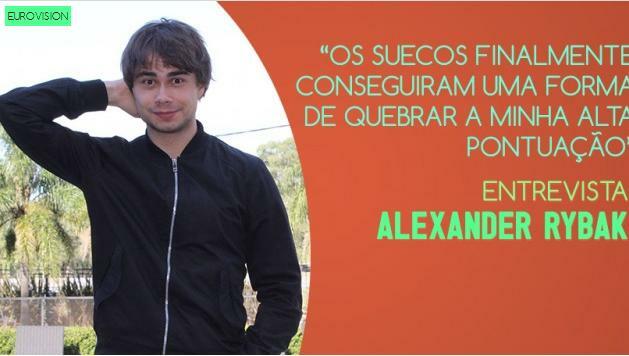 RYBAK ALEXANDER: Yes, I’m a little tired, but it is a positive strain. It is good rest after the show, but I’m happy in this interview that you come so far. ESCBR: Let’s for the first question: Messi or Neymar? AR: Oh! Messi because he is the leader of Barcelona. [laughs] I like football, but the two players are great. 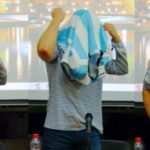 ESCBR: That question was just a joke, because we have this rivalry with the Argentines. ESCBR: Okay, but let’s get the fact interview. 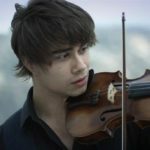 Singer, composer, violinist, actor and writer … What else can we expect from Alexander Rybak in the future? AR: Yes, now a writer, I intend to launch in the future translations of my book, who knows in Portuguese. Would be great. Now I’m focused on releasing more songs on platforms like Spotify. We are also organizing a show this summer celebrating the 10 years I won the Kjempesjansen, a talent program NRK, with several talented artists. I also intend to launch here there are two years the music of my book, Trolle And The Magic Fiddle (The Little Troll and the Magic Flute). ESCBR: What does Argentina mean to you now? You are in a country where it is somewhat unknown. Were you surprised with your audience after yesterday? I would like to sing in nearby countries? AR: All the excitement and affection I felt I expected, but it was much bigger than I imagined. When I saw the performance of other artists like Justin Bieber here I saw as was the treatment of the fans, but do not expect it to be so warm … or they were so good at English! [laughs] And they were all so attentive and participating in all the songs in the show -in the liveliest and the classic – understood my jokes … The Latin American public is really the best of all, they reacted well to all the comings and goings of show. Fantastic! I hope to sing in Brazil, Chile, Bolivia, Colombia , and elsewhere soon. ESCBR: You recorded a version of Abrazame, Julio Iglesias, who competed in the Eurovision in 1970. This was one of the reasons that made you choose a song it? AR: Wow, I did not know he had participated in the Eurovision. I guess I’m not such a fan as well as I thought [laughs]. But he also made many other amazing things for which he is recognized, I believe that many did not know that he had participated in Eurovision as Celine Dion. Only ABBA, of course! About Iglesias, like your music, your language … in Brazil people do not speak Spanish, do you? AR: Oh, no! I’ll have to learn all over again! As you ask the name of a person in Portuguese? AR: Oh, like a little bit Spanish. ESCBR: yet Speaking about the contest. Were you surprised that people overseas were so knowledgeable of the contest? AR: I would be surprised if it was some 15 years ago. I mean, I always find myself with things, but today the Internet allows anyone to be a bit famous anywhere in the world. I like to interact with my audience, either by messages, twitte r, videos … you see the Q & A where you play the piano? ESCBR: Yes, it was great! ESCBR: Continuing … you helped the Belgian public to choose its entry for the Eurovision this year. You’ve heard the other competitors from other countries? AR: In fact, the Belgian entry is very good! Well … I like and I have followed the steps of the Russian song also because I am a good friend of producer Philipp Kirkorov. But the most surprising to me was the English entry … finally believe the UK has a song that represents the UK. They walked quite down in recent years, but I think they have great potential this year. You know … I like when a country sends a song that represents the music made in the country. It ‘s okay to sing in English, but at least bring instruments and rhythms of his country. ESCBR: As Portugal has made in recent years, but unfortunately that has not been recognized by the rest of the European public. AR: Yeah, like Portugal. By the way, you, as Brazilians feel Portugal as part of you, your best friends in Europe? ESCBR: Brazil is very different from Portugal, but we do have a good relationship with the country, although many Brazilians prefer to know the other European countries that Portugal, which is a great country. ESCBR: Well, this question is our Juarez Neto Reader: What do you think of the Norwegian song this year, Icebreaker? AR: It’s a very innovative music and different style I hear. I believe that gets a top 5, maybe in about five years I get used to it more. But that does not take away the fact that I find it a great song. What did you think? ESCBR: Particularly hoped Feel the Rush, Freddy Kalas. AR: Oh, but this song is a mixture of rhythms, is not Norwegian sound [laughs]. ESCBR: Yes … but I like the traditional songs as well. AR: Unfortunately the radio has made artists think only in music that pleases. Before the Eurovision, for example, the Scandinavian radio stations would not play my songs. After my victory they played … but it was something like “Okay, we have to play …” because they had no choice [laughs]. ESCBR: This year the voting system of the Eurovision has changed, so the current winner can beat your record easily. You will be sad about it? AR: Oh yes, they have changed and now a person does not receive only 12 points in a country, but you can get 24 points, right? ESCBR: [laughs] But your score was amazing! Almost double the second – place Yohanna! ESCBR: Yes, for many Brazilians, by the way, 2009 was one of the best shows in the last 10 years! ESCBR: You just released a new single in Russian, you are also participating in Russian TV programs. How special are the Russians for you? AR: Not to be special, but part of my life. In Russia I can sing songs more sensitive because the Norwegians are not used as the Russians to a sad and oppressive past that become accustomed to sad songs, there I should sing more positive songs. ESCBR: Particularly the Russian language even has a good sound. ESCBR: [laughs] It’s a good song, is winning face. But I hope France win [laughs] But Sergey has great supporters in Brazil as well. AR: Really? Good to know that. AR: Oh, yes, it was not a good experience. Because that ‘s how I felt like the jury vote and influence works. We were preferred by the public vote, but the jury defeated us. In fact, I’m still disappointed with what happened in Malta and Belarus, because in both countries the singers gave their best in preparation and unfortunately were not recognized as they should. About singing in the new Eurovision … I think this is a show for new singers like Franklin, Malta. Not necessarily new age, but new “unknown to the public.” Envy persistence Johnny Logan, for example, have competed and won Eurovision twice. But … never say never! ESCBR: Well, finally, can you tell us a bit about the work you do with children? AR: I have worked with children for a long time. Recently my song Into the Fantasy was part of the soundtrack of the film “How to Train Your Dragon 2”, Dreamworks, and also have my book. Working with children is something I have a mission for me; really like who I am and have everything I have today, but always make available a part of my time to help the youngest to achieve the same as me. My life is 50% receive 50% joy and give joy. ESCBR: Well, thank you again its readiness to receive us and this interview. We expect to see soon in Brazil, perhaps in the Olympics as a guest of the Norwegian or Belarusian delegations. AR: No, [laughs] if I have to go to Brazil want it to be like here in Argentina go by my Brazilian fans. A hug to everyone. Who wants to watch the show that Rybak made in Buenos Aires, just stay on the Earth portal, THIS LINK , the concert will be broadcast Friday! Oh, we brought a little present for him too!